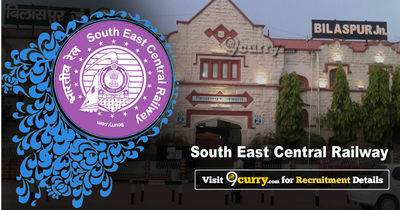 South Eastern Central Railway Recruitment 2019 - Walk in for GDMO Post in South Eastern Central Railway, Raipur on Contract Basis. Candidates are invited by South Eastern Central Railway to attend walk-in-interview to be held on 12 Feb 2019 09:00 AM for 1 vacancy. MBBS from Institute recognized by MCI. In addition retired Railway Doctors/retired GMOs of State/Central Govt. up to the age of 66 years are also eligible. i. Educational qualification5, namely Degree, Post Graduate Certificates, Certificate in support of Diploma in the relevant field etc. v. Service Certificate (For retired Railway Doctors/GMOs of State/Central Govt. ), vi. Last Pay Certificate & pension details (For retired Railway Doctors/GMOs of State/Central Govt. ).